Well, I don't really hate fall. And the only reason I hate fall is that I grew up in Chicago, where fall was cold and rainy and portended a Chicago winter. And another reason I hate fall is that it means the start of the school year, which for years meant the end of the freedom from bullying that summer provided. The seed coat contains butanoic acid and smells like rancid butter (which contains the same chemical) when fallen on the ground. The stench... was unbearable, and unlike anything I had come across before. It was, I thought, what evil must smell like—not an evil person but the wicked ideas that have made him that way. The smell of ginkgo berries is better, but not much. I've been obsessed with plants since the summer before I started high school, and I knew in theory of the smell of ginkgoes, though I hadn't experienced it firsthand. This was, I thought, because ginkgoes are dioecious -- there are separate male and female plants. 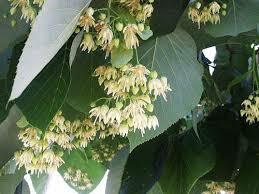 (A more famous dioecious plant is Cannabis sativa, the females of which being the ones that are of recreational use.) There were ginkgoes aplenty in the Chicago neighborhood I grew up in -- ginkgoes are famous for their ability to thrive in harsh urban environments. Yet it was not until I was in college that I smelled ginkgoes in the fall -- there was a row of them next to the library. Studying became even more of a chore now that it involved running an arboreal gauntlet. Yet each fall an elderly woman, presumably originally from East Asia (she actually wore a conical hat) would brave the stench and gather the berries, which are eaten in many East Asian cuisines. 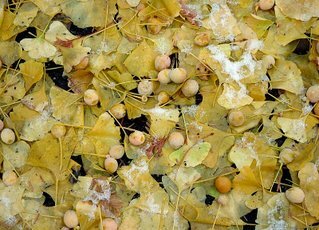 I was shocked, then, when I lived for a year between college and graduate school in the neighborhood I grew up in and found that in the fall the plentiful ginkgoes, or more accurately half of them, would produce copious and malodorous berries. What had changed? I can only assume that they were planted recently enough that they hadn't yet reached maturity when I was growing up. After all, I can't imagine that they were commonly planted in American cities a generation or two ago. I quite like my current neighborhood in New York, but it is rank with ginkgoes. There is in fact not a single route I can take to campus that does not involve walking over patches of sidewalk piled with stinking ginkgo berries. Which is my current excuse for not going to the library.